W&L Fall Athletic Teams Finish Strong Multiple teams won ODAC championship titles and saw NCAA Tournament action, while honors stacked up for individual Generals. Washington and Lee University athletics had a stellar showing during the Fall 2017 season, with three teams competing in National Collegiate Athletic Association (NCAA) tournaments, four teams claiming Old Dominion Athletic Conference (ODAC) championship titles, and a number of individual Generals receiving high honors for overall performance, both on and off the field. 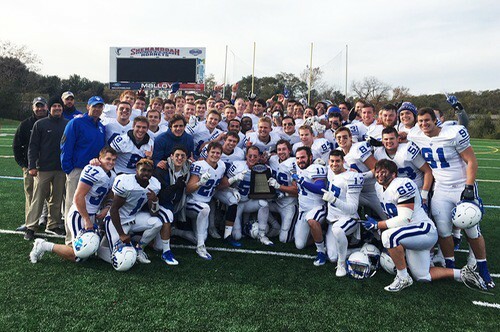 The W&L football team nailed down its fourth ODAC Football Championship in the last eight years with a 48-21 victory over Shenandoah on Nov. 11. The team’s season came to an end on Nov. 18 with a 21-0 loss to 12-time National Champion Mount Union in the first round of the NCAA tournament, but not before the Generals held the Purple Raiders to a season low of 276 yards of total offense and only 10 first downs. Washington and Lee also claimed four of the five major ODAC awards. Senior linebacker Max Garrett (Fairfield, Conn. / Choate Rosemary Hall) was named the ODAC Defensive Player of the Year and collected ODAC/Virginia Farm Bureau Insurance Scholar-Athlete of the Year Award for the second straight year. First-year running back Josh Breece (Lorton, Va. / Stone Bridge) was named the ODAC Rookie of the Year and Head Coach Scott Abell received the ODAC Coach of the Year Award for the third time in his six seasons at the helm. Five Generals earned First Team All-ODAC laurels. In addition, Breece was a finalist for the Lanier Award, while senior linebacker Max Garrett (Fairfield, Conn. / Choate Rosemary Hall) received the Linebacker of the Year Award at the Dudley & Lanier Award Banquet hosted by the Touchdown Club of Richmond on Sunday, December 10. 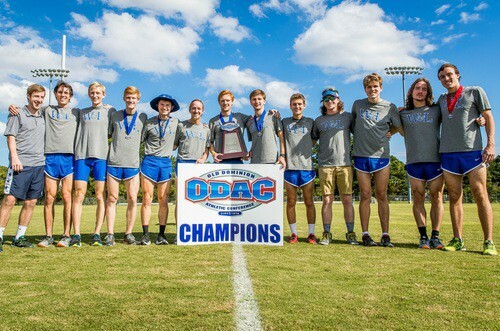 The men’s cross country team earned its third-straight ODAC title on Oct. 28, and the 12th ODAC title in program history. At the 2017 ODAC Championship, hosted by Virginia Wesleyan, the Generals recorded the lowest team score since 2005, registering 27 points with four runners in the Top 6. The team took fourth place at the NCAA South/Southeast Regional. Junior Hank Patrick (Baton Rouge, La./University Laboratory School) was named the ODAC Men’s Cross Country Scholar-Athlete of the Year; this is the third straight year a General has earned the award. Patrick also qualified to compete at the NCAA Championship, along with senior MacKenzye Leroy (Port Jervis, N.Y./Port Jervis) and junior Cooper Baird (Fort Worth, Texas/Fort Worth Country Day). First-year student Freddie Marx (Greensboro, N.C./Walter Hines Page) was named ODAC Rookie of the Year, and Coach Brandon Spalding earned the ODAC Coach of the Year award. 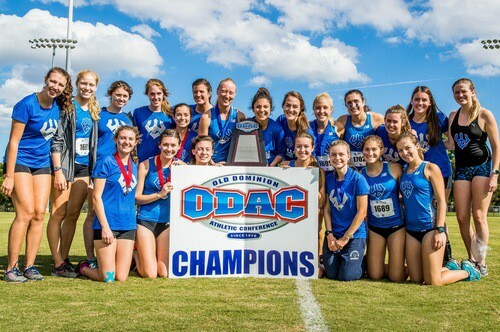 The women’s cross country team also claimed its third-straight ODAC title on Oct. 28, taking the top spot out of 12 teams with 34 points and five runners finishing in the Top 10. It was the 17th ODAC title in program history. The team also took fifth place at NCAA South/Southeast Regional. Coach Michael Dager was named ODAC Women’s Cross Country Coach of the Year for the third season running. 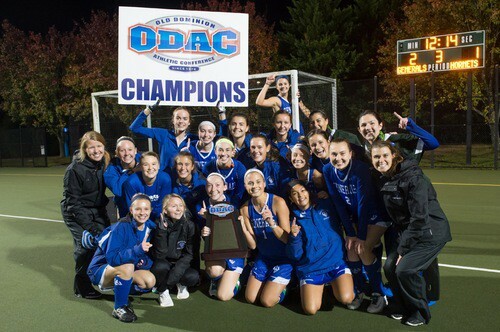 In a 2-1 overtime victory over Lynchburg, the W&L field hockey team brought home its second ODAC title in program history, and only the first since 2005. The team beat Denison, 1-0, in the first round of the NCAA Tournament, but fell to No. 1 Messiah in the second round. Junior field hockey forward Haley Tucker (Manakin-Sabot, Va./St. 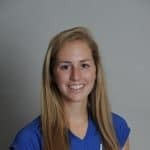 Catherine’s School) was named the ODAC Player of the Year and made the first team. Field Hockey Coach Gina Wills was named ODAC Coach of the Year for the second time in three years. 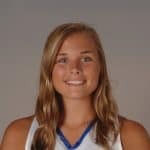 Wills has a 38-18 record in her first three seasons with W&L. Although Lynchburg bested W&L in the men’s soccer ODAC Championship game, the Generals received an at-large bid to the NCAA Tournament, and W&L hosted first- and second-round tournament action on Watt Field. After a 2-0 win over Mary Washington and then advancing on penalty kicks following a 3-3 draw with Oglethorpe, the Generals to moved on to the NCAA Sweet Sixteen, where they fell to No. 5 North Park, 3-0, on Nov. 18. Senior goalkeeper Gillian Beck earned the ODAC/Virginia Farm Bureau Scholar-Athlete award for the second consecutive year. Beck was also named to the second team of the College Sports Information Directors of America (CoSIDA) 2017 Division III Academic All-America men’s soccer teams. 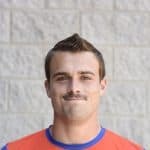 Beck is the first men’s soccer player in program history to be selected to the Academic All-America team. In addition, the men’s soccer coaching staff was named South Atlantic Regional Staff of the Year by United Soccer Coaches. Head Coach Michael Singleton, along with his assistant coaches Jon Freeman, Nemanja Cetic and Austin Gilbert, earned the honor for the first time in their careers. In volleyball, first-year middle blocker Courtney Berry was honored as the ODAC’s Rookie of the Year and was named to the All-ODAC First Team. Berry is the first W&L rookie to earn all-region accolades since M.A. 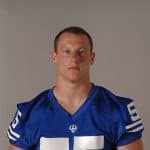 Boles ’14 received honorable mention recognition and was named the region’s Freshman of the Year in 2010. In other volleyball news, W&L junior outside hitter Meg Guignon (St. Louis, Mo./Visitation Academy) earned honorable mention accolades from the American Volleyball Coaches Association as it released its 2017 AVCA Division III All-America teams. Guignon is the ninth player in program history to earn All-America laurels, and this marks the fifth straight season a General has been honored. Visit our Athletics page to keep up with all W&L sports action.